Yesterday, after recording a segment for the Time-Warner Cable news show, Capitol Tonight, I had a parking lot discussion with a John Locke Foundation staffer about House Bill 2. As you may be aware, HB2 has actually been a divisive issue for some North Carolina conservatives. While many on the religious and Tea Party right have championed the law and, indeed, demanded that lawmakers sign a loyalty pledge to never add sexual orientation, gender identity or gender expression to any state law or nondiscrimination policy (a demand since “rescinded”), other conservatives are clearly less passionate about the law. After defending it in part in a column yesterday, for instance, former Locke Foundation boss John Hood also admitted the law’s huge flaws. In a rhetorical question, he specifically conceded that it would “violate basic expectations of privacy to require a biological woman who dresses like a man — and thanks to hormone treatment may even have a beard — to use such facilities next to the 10-year-old girl or 70-year-old grandmother.” In other words, even John Hood admits the absurdity of a law that requires people to use the restroom associated with the gender on their birth certificate when the two have long since ceased matching. During our parking lot discussion, I pressed Hood’s former colleague to speak up on this issue, to amplify Hood’s observation, and to point out the absurdity of HB2. Unfortunately, while he seemed to concur that the law went too far, he also kept responding with one central defense of it — namely that the concern voiced by supporters about “bathroom predators” was a genuine one and that opponents of the law have erred by not acknowledging the legitimacy of this concern. When I pressed him to produce one credibly documented example in which a man had dressed as a woman in order to invade a women’s restroom and then used a law that allowed entry by people based on gender identity to successfully avoid arrest or prosecution, he told me I could “Google it” and find lots of instances. 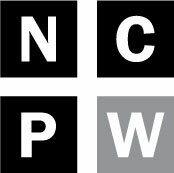 As Raleigh’s News & Observer and Politifact confirmed at some length in a recent story, however, this appears to be an urban myth. While there may have been some instances in North America in which a male predator invaded a women’s restroom disguised as a woman, there are simply no credible reports of such a person having ever successfully avoided arrest or prosecution based on the defense that he was merely using the restroom that corresponded with his gender identity. That’s because such behavior is illegal everywhere and would have been illegal under the Charlotte ordinance. The mere fact that some troubled predator somewhere might think the law provides him cover to try such a thing doesn’t make it legal. Here’s the problem, though: Despite its disconnect from the real world, the “bathroom predator” story continues to generate real and unreasoning fear in some people. While some politicians and others are clearly using this supposed problem in a cynical and manipulative way, some HB2 supporters/defenders really believe this stuff. They have convinced themselves that predators will attempt to use non-discrimination ordinances and laws as license to invade women’s restrooms for nefarious purposes or, at a minimum, that HB2 opponents are acting callously by failing to acknowledge the genuineness of the fear in some individuals. One of the most interesting and illuminating developments in the debate over “bathroom predators” took place yesterday afternoon shortly after my parking lot debate at a Legislative Building press conference held by Senate President Pro Tem Phil Berger. 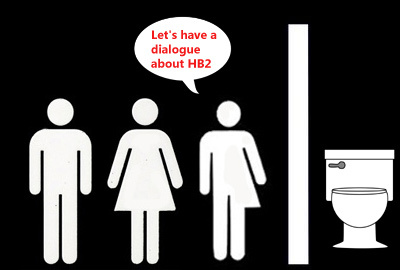 Berger, one of the leading champions of HB2, was asked by a reporter about the phenomenon of private businesses making clear that they will not apply the HB2 “birth certificate test.” As the reporter pointed out, if Senator Berger is so genuinely concerned about predatory men invading women’s restrooms, why did he craft HB2 to allow private businesses (the example given was the Target department store chain) to apply whatever rules they want? In other words, if Berger and other supporters were truly sincere about being driven to guarantee safety for vulnerable women and girls, why didn’t they require all restrooms – public and private – to adhere to the birth certificate test? It was a fabulous question and Berger’s unconvincing answer – that free market forces and lawsuits brought by molested women and children would force businesses to rethink such policies – was laughably lame. By such “logic,” government could do away with airplane inspections and food safety rules too! After all, once a few planes went down or a few hundred people died from salmonella, airlines and food processors would adjust their behavior, right? Clearly, the reporter’s question revealed a huge hole in the bathroom predator argument and Berger’s disingenuous use of it. The truth of the matter is that Berger and many other key architects of HB2 are not sincerely concerned about bathroom predators; to them the argument is merely a convenient tool to justify discrimination against LGBT people without publicly admitting their actual objective. Unfortunately, despite the repeatedly demonstrated illogic of the bathroom predator argument, the hard truth at this point is that it remains stubbornly persistent. As with Bigfoot, UFO’s and other urban myths, a lot of people believe what they want to believe and will not be assuaged with mere logic and facts – especially when it comes to things that are foreign to them and therefore scary. Opponents of the law thus find themselves in a predicament. No matter how much they confront the myth directly and refute it with facts, many HB 2 supporters – even those who may be genuine about not being prejudiced against LGBT people – continue to repeat it and find it troubling and persuasive. House Bill 2 should clearly still be repealed, but opponents might consider agreeing to a new provision in state law that restates and makes completely explicit the kind of predatory behavior that is proscribed. This would provide the conservative supporters of HB2 who worry about such behavior the assurance and political cover they need and politically isolate the homophobes whose actual intention is to discriminate against the LGBT population. What’s more, such a provision would have the added advantage that it would be 99.9% sure never to be needed since, as we know, such behavior is almost completely unheard of. So, what do you say, HB2 supporters – at least the non-homophobic ones? Are you ready for some dialogue?